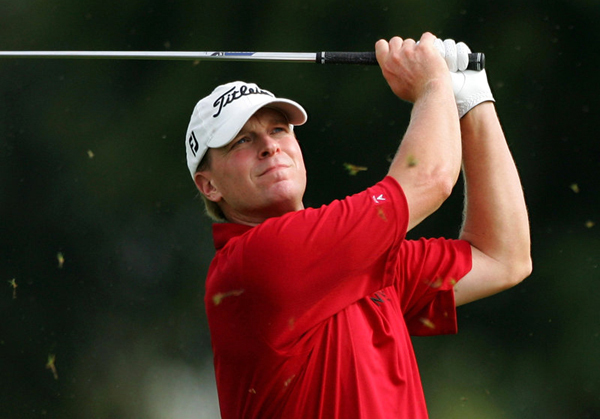 Steve Stricker, a five-times Presidents Cup player, was named on Tuesday by U.S. captain Jay Haas as his third captain's assistant for this year's matchplay competition against the International Team. Stricker joins Fred Couples and Davis Love III as assistants to Haas for the October 6-11 competition that will be played in Asia for the first time, at Jack Nicklaus Golf Club in Incheon City, South Korea. International Team captain Nick Price's leadership team includes vice-captain K.J. Choi and captain’s assistants Tony Johnstone and Mark McNulty. Haas made the announcement at the World Golf Championships-Bridgestone Invitational in Akron, Ohio. “Everyone loves Steve Stricker,” said Haas. “The U.S. Team wouldn’t be complete without him, so it really was a no-brainer to add him as my third captain’s assistant." Stricker, playing a limited schedule on the PGA Tour these days, was pleased to continue his association with the event. “I’m honored that Jay asked me to join the U.S. Team," Stricker said. “I absolutely love the team atmosphere of The Presidents Cup and would have been sad to miss out on it for the first time in a decade, especially on such a momentous occasion as the event heads to Asia for the first time."